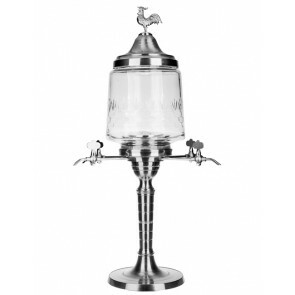 Absinthe fountains were part of the French bistro culture of the 19th century. 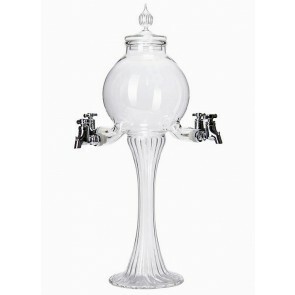 They are filled with ice and water and drive the traditional French Absinthe ritual to perfection. 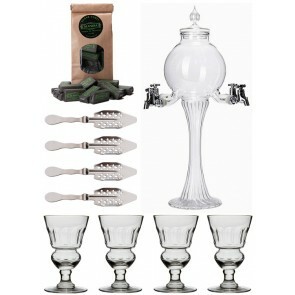 Fountains replace the regular water carafe, which you need to prepare a glass of Absinthe the classic way. 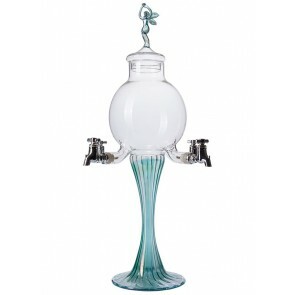 With their unique design fountains are unarguably the most fascinating Absinthe accessory. 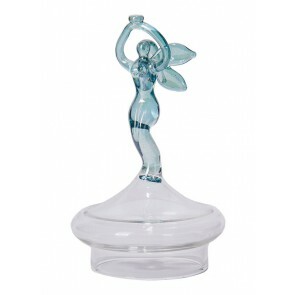 In our online store you can choose from different glass and metal fountain designs. 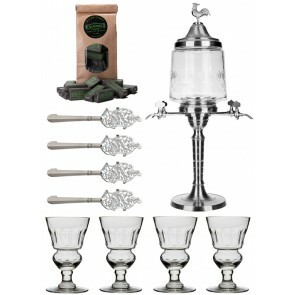 Absinthe Fountains, which one should you buy? 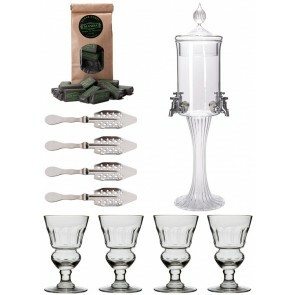 If you are looking for the best Absinthe fountain you have to buy the Absinthe Fountain Classic AAA. It is an authentic reproduction of an antique original. As this fountain is made of metal and glass its appearance is quite impressive. Even if you do not have it in use it looks very decorative. The glass fountains are smaller in size and much lighter. 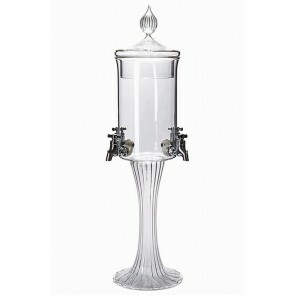 If you just need a fountain once in a while they are a good buy, as they are easier to handle. 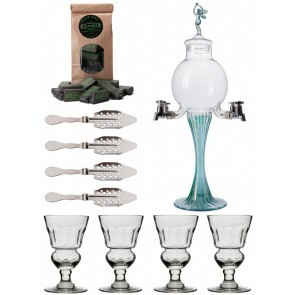 Absinthe Fountain Set "Heure Verte"